Get your guests dancing and making new friends on the dancefloor! 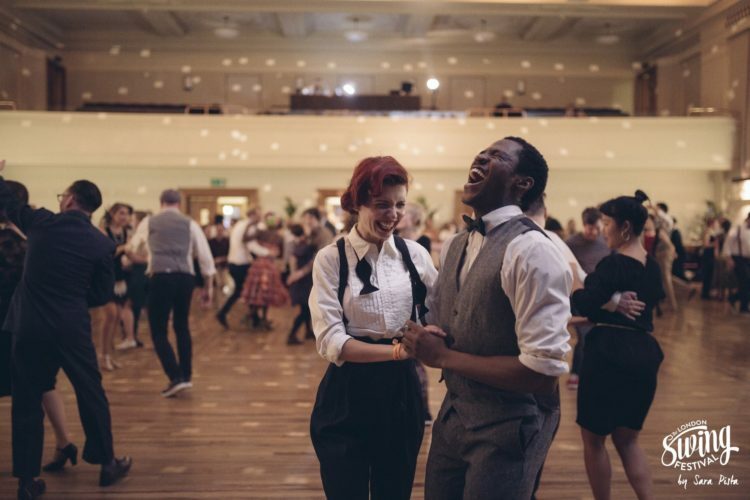 The City Swing Dancers will have your guests chatting and laughing in no time and are the perfect accompaniment to a jazz or swing band. 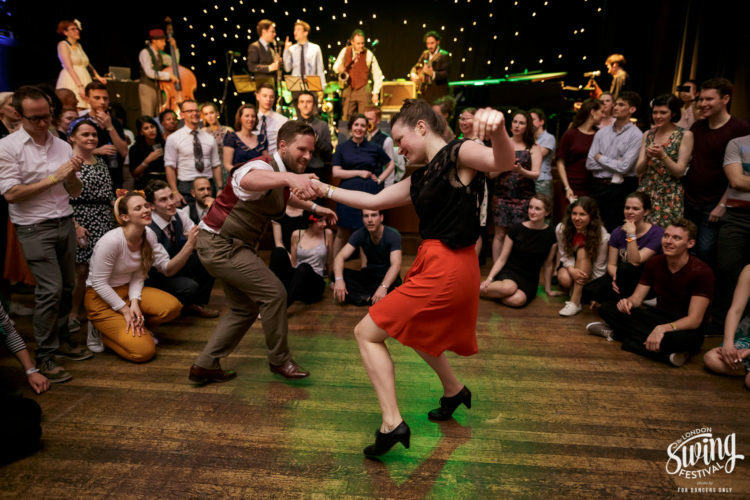 They offer a fun 45 minute lesson along with a demonstration of the art of the Lindy Hop that will delight your guests and inspire them to dance the night away! If you're planning a wedding, why not begin the evening reception with a beginner swing dance lesson? It gets everyone mingling and having a great time. The City Swing Dancers teachers are experts at creating fun, inclusive and completely beginner friendly lessons suitable for any age or dance ability. 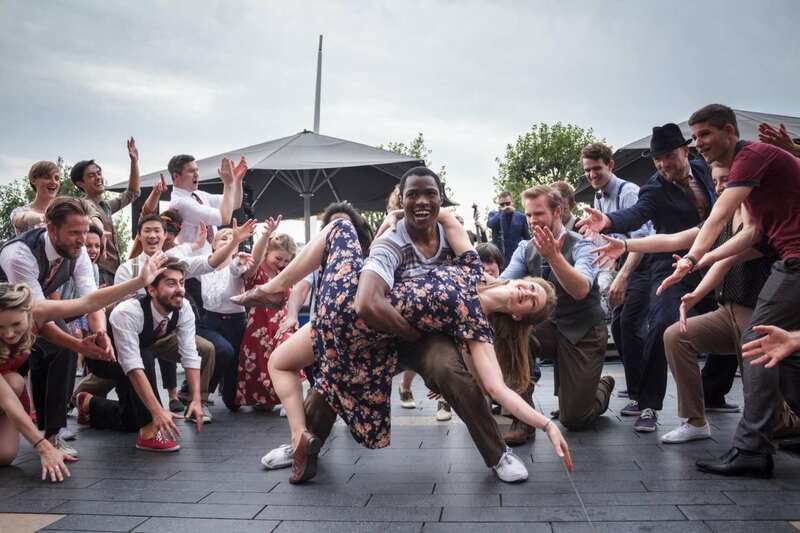 For corporate events, The City Swing Dancers offer a range of swing dance entertainment packages to help you create unique events designed to suit you and your guests. From office parties to glitzy award ceremonies and product launches, add a vintage twist to any event! Maybe your event is themed around the Blitz or The Great Gatsby, these guys will fit in perfectly. 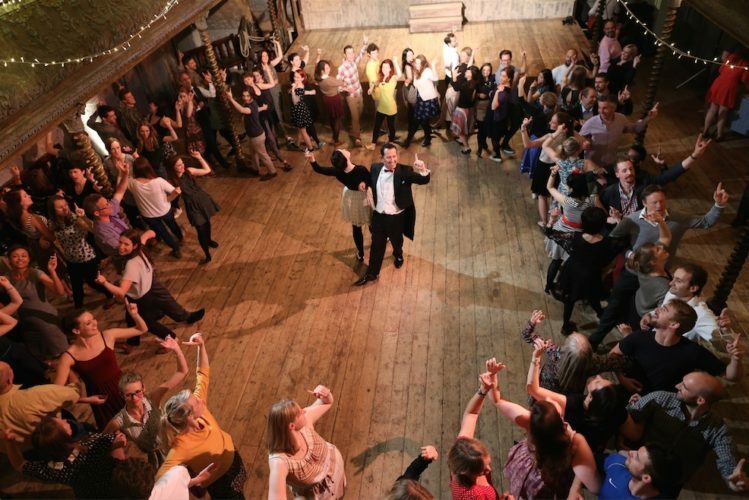 The City Swing Dancers recommend hiring their 2 swing dance teachers to run a beginner-friendly swing dance lesson to break the ice and get your guests mingling. Then hire their award winning troupe of swing dancers to put on a stunning performance showcasing the famously fun Lindy Hop and Charleston!